Initially 2/3 treatments are carried out at weekly intervals. This is often sufficient to achieve relief from pain. However for very long standing or chronic conditions more visits may be necessary. The sooner an injury is treated the faster it can heal. Clients may follow up with maintenance treatments to help manage stress or an ongoing problem, or just experience deep relaxation. They use Bowen as their first port of call if a new problem arises. Some conditions which are generally expected to take time to improve, may respond quite quickly to treatment. It does not offer a cure for conditions but can help the body recognise and manage them, often reducing pain and increasing energy levels and general wellbeing. See the Bowen4me website, where you can read some of the stories about the Leeds Rhinos rugby team who use Bowen. Joanna can now assess and offer the concept of Mind work being incorporated with Body work. A new, innovative working model that again Joanna is one of the first therapists in the Country to undertake. Joanna is delighted to announce she is now an accredited Body Mind Worker. 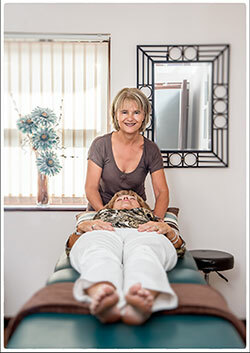 To find out more about this service and how it can benefit you managing your pain, click here!